NEW! Let's celebrate Winter and snow fun with the new A la Neige tablecloth by Beauvillé. Here in red, the design features typical Alpine mountain winter activities. 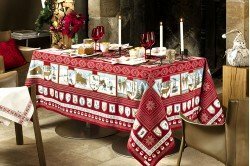 This new table linen collection will bring a special country French style to your Winter cabin! 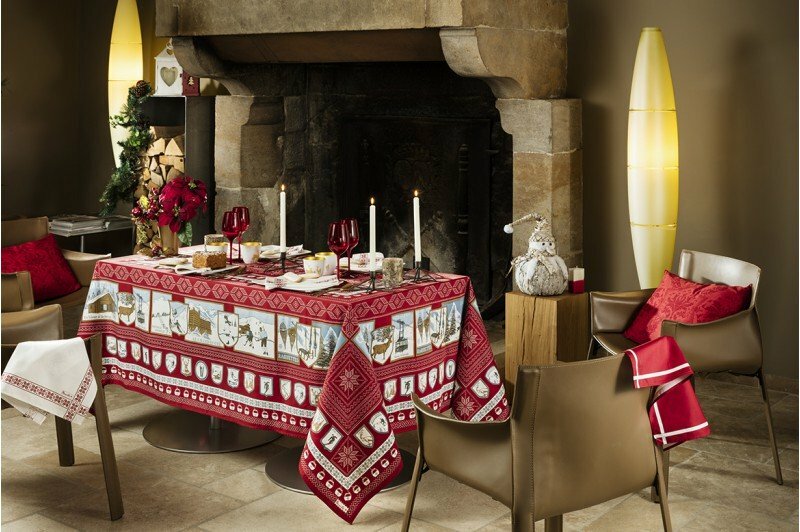 Designed and made in France by Beauvillé, this tablecloth is made of 100% satin cotton and treated with anti-stain finish for easy care. Comes in red or grey. Matching napkins and tea towel also available. Material 100% satin cotton with stain resistant finish. Technique Silk screen printing process.